Zero residue and our green cleaning and protecting processes mean your carpets and fine area rugs will be soft, fluffy, and cleaner than ever. We clean all types of fibers including wool and even silk, we are specialists at cleaning berber carpets, and your precious oriental rugs are always safe when cleaned the Zerorez way. Our pre-treat and protectant products are also non-toxic, non-allergenic, and will ensure that you receive the best, safest, and the most environmentally sensitive cleaning possible. Zerorez is unequaled in removing pet urine and the associated salts and urea that sometimes occur with your four legged family members. Urine treatments include an odor eliminating enzyme treatment to keep odors from returning. If urine has soaked through to the carpet pad, a more extensive treatment may be required, and discoloration of areas that have been stained for a long period of time may be semi-permanent. Please speak with your Zerorez representative if pet urine is a serious problem. Your furniture will look new when cleaned the Zerorez way. We use the same non-toxic, no-residue process to clean most types of upholstery fabrics, and our low-pressure cleaning technique is gentle and quick drying. Cleaning your upholstery on a regular basis with Zerorez will also eliminate the dust and residue that can lead to allergies and chemical reactions. 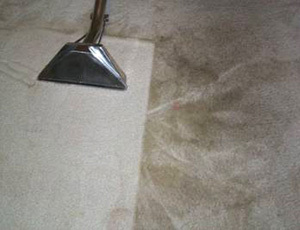 And we always apply our standard protectant to your upholstery to keep it clean and bright longer. Or add our new anti-microbial protectant for additional protection. Drapery can be a dust magnet and will look better and be free from allergy causing residue after a Zerorez green cleaning. Most people don’t think about having their mattresses professionally cleaned, but a Zerorez green cleaning can ensure a residue and dust free mattress to make sure your mattress is clean, fresh and healthy. Zerorez technicians are experts in the cleaning and conditioning of fine leather furniture. Leather furniture should be cleaned and conditioned periodically to provide maximum life and wear. Zerorez can do the job right and restore your furniture to its original suppleness and luster.